Today a trailer was released for Eugene Richards 43 minute film "Thy Kingdom Come." The film will be premiering at Austin's own SXSW this March in their "Visions" section alongside Terrence Malick's "Together." Back in 2010, Terrence Malick hired Eugene Richards to travel to Bartlesville, Oklahoma with Javier Bardem ( I lovingly refer to him as "Javier Bar-DAMN he's so good") to film footage as research for Malick's 2012 film "To the Wonder." After years of trying, Richards finally got the rights to his footage and edited it together to bring us this heartfelt piece of film. 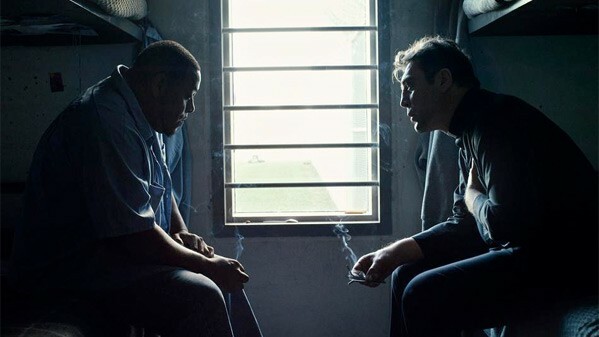 I hope to catch "Thy Kingdom Come" at SXSW, along with a ton of other great pieces of cinema!